The Eating House 1503 is steeped in culinary history, with expectations to match the inspirations it was built upon. One of the first restaurants in Hawaii, aptly named Eating House, was opened by Peter Fernandez in the mid-1800s. 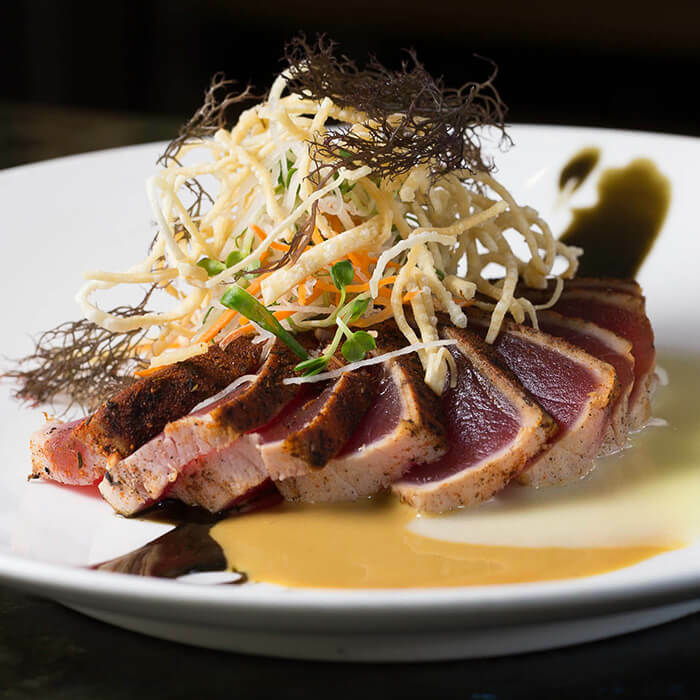 The namesake is also a nod to celebrated chef, author and TV personality Roy Yamaguchi’s restaurant in Hawaii, Eating House 1849, while paying homage to the year the Cayman Islands were first spotted by Christopher Columbus, 1503. Chef Yamaguchi, who hails from Japan, brings his heritage to the table and menu with his Asian-infused culinary techniques. Much of what is sourced and served at Eating House 1503 comes straight from Grand Cayman, bringing a thoughtfully-infused island vibe, Caribbean flavour and soul to the mix. Whether it’s a seat at the bar for a casual bite or settling into a table for a special occasion, Eating House 1503 promises to deliver a memorable experience. Open Daily: Breakfast – 7 a.m. – 11:a.m.; Dinner from 5 p.m.